Church on Rush Creek has a lot to celebrate. 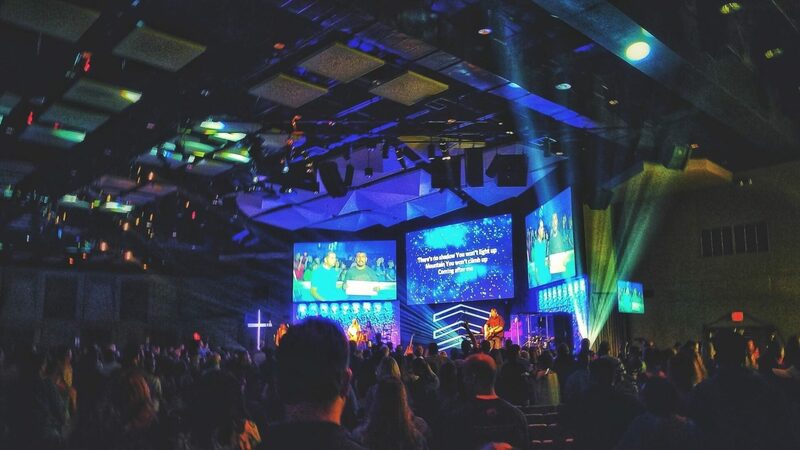 A multi-campus church located across the DFW metroplex, Rush Creek has over 3500 in attendance each weekend and a reputation for helping equip and train local churches and leaders. Last year Rush Creek began the journey of installing Intentional Growth Planning, a leadership system that quickly moved the team into alignment and conviction around their mission. The Rush Creek team adopted the language and embraced the tools that have helped them clarify their vision, prioritize their resources and drive them toward a strategic plan of action. Jeff Kirkpatrick, Rush Creek’s Systems Pastor, has been the ideal catalyst for encouraging the team to think strategically and intentionally. With a Bachelors in Chemistry and a Masters in Business Administration, Jeff spent much of his career in the chemical industry. Through it, God developed a passion in him for helping the local church and has fully equipped him for the calling. We’re proud to call Jeff a friend and an IC Coach and invite you to check out our interview with him. Tell us how your experience in the international business world prepared you for ministry and serving churches. I was fortunate to work for a large multi-national corporation for 15 years before being called to full-time ministry. During that time, I lived in several cities, including outside of the United States, and was able to interact with cultures from around the world. I gained an appreciation for different points of view and approaches to relationships. In ministry this has softened my heart to want to grow a church that looks like our communities and like heaven. My experience in business also encouraged me to take calculated risks and embrace change. If we are going to reach more people for Christ and help them grow in their faith, we have to constantly be looking for new and improved ways to do ministry. We need both an entrepreneurial spirit and bold faith to push forward even when we don’t have all of the answers. Maybe my biggest learning was that team culture is critical. To build a strong team, we must balance giftings and structure for collaboration, challenge people beyond their perceived level of competence to determine potential, encourage creativity allowing for failures, create a routine dialogue of coaching and mentoring and celebrate people and their efforts regularly. Nothing will stand in the way of success more than team culture. What have been the highs and lows of serving churches through IC and Rush Creek? At Rush Creek we have a local network of churches we support and serve. This, along with the churches I am able to serve alongside with IC, has been a true blessing for me. I have met so many passionate people working diligently to reach out and serve others in the name of the Lord. Most of the time I learn more from them than they likely learn from me. Most churches have big visions because they are driven by a sense of God’s will for their ministry. What tends to slow them down is a lack of clarity on the execution of that vision. Clarity of language, roles and responsibilities, priorities, and intended outcomes must be established. No church ever failed due to a lack of opportunity. The key is to clearly identify the destination and invest the right resources, on the right things, at the right times to achieve the vision. With this type of clarity, aligned with God’s will, all churches can thrive. How did you become a part of IC? I learned about Intentional Churches through one of my team members at Rush Creek. I attended an Activator training and then served in this role as our church completed its first Intentional Growth Plan. After two years of operating the Intentional Growth Planning process at our church, I joined the IC team as a Coach. I love serving with churches as they strive to achieve the vision God has given them. It is a privilege to be allowed onto their team, and I take the responsibility seriously. We are all on the same team and when one church grows, the Kingdom wins. Share some wisdom or encouragement you have learned from being in the trenches of ministry. I love to approach problems as opportunities and as God’s little puzzles for us to solve. Of course, He already knows the answers, but we pray that He will be gracious enough to let us in on the details. We give glory to Him when He reveals to us the path forward. However, we should never let success blind us from the need to improve. We should never let failure stop us from charging ahead. We should never let ambiguity deter us from taking a step. We should never let fear reduce the size of our vision. We can do all things through Him who gives us strength. Tell us your vision for how Intentional Growth Planning will become your operating system at ALL Rush Creek campuses. At Rush Creek we are working to fully adopt the IGP process as our operating system. We did the initial activation with our leadership team, but have since activated the process within each ministry. Each ministry area now has one primary objective or VIP to attack, above their whirlwind, at a time. In addition, one to two church-wide, cross-functional VIP’s are in progress at all times. We have organized our multi-site ministry leadership around the GCE pistons and focused our Campus Pastor team on the primary newcomer. This past year we reorganized our chart of accounts to better align with the GCE and allow us to track our investment balance. All of this is in an effort to help us realize the full Gospel potential of our church to make more and better disciples.